The rankings are correct, but not in order. It’s the tied teams that are mixed. That is weird. 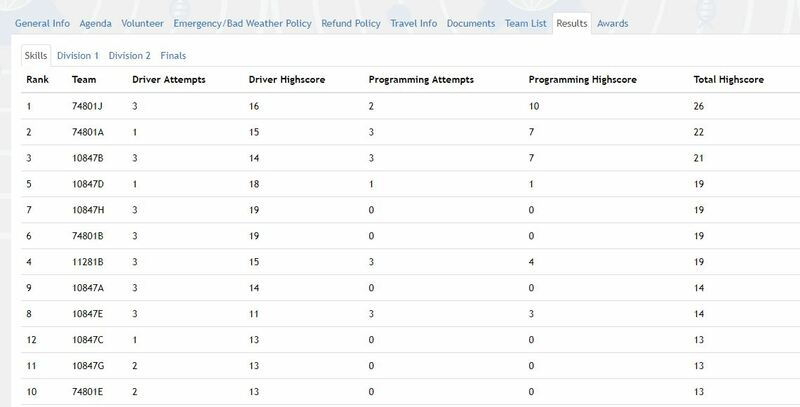 I would have thought the tied teams would have been sorted by highest programming score first, then number of attempts second. What the heck? Well, someone messed up.